The definitive keys to maintaining a healthy body weight are to exercise on a regular basis and make smart food choices. These are certainly not secrets and most people are well aware of their importance. Unfortunately, without implementing the proper habits, most folks will know what to do, but will fail to do what they know. Ultimately, everybody who succeeds at maintaining a healthy body weight and fitness level makes exercise and healthy eating a lifestyle. In other words, they have habits that they practice on a regular basis that lead to health and fitness. Their success is not achieved through occasional bursts of activity like crash dieting and short-term exercise programs. It is through small daily disciplines that they succeed. It has been well documented that the key to success in almost any field is mounting a consistent effort in critical impact areas. For example, businesses that succeed are consistently excellent in critical impact areas such as marketing, providing an above-average product or service and managing cash flow. These businesses identify the areas that are most important to their success and become excellent at them. We must do the exact same thing if we are to achieve our weight loss and fitness goals. There is an excellent book by Charles Duhigg, The Power of Habit, I highly recommend. The author has pored through research, conducted interviews and intensively studied the psychology and physiology behind our habits as human beings. As a corollary of his studies, Mr. Duhigg uncovered two habits that dramatically increase one’s chances of succeeding to lose weight and become fit. He refers to these as “keystone habits,” or habits or small changes that have a ripple effect on multiple areas of a person’s life. If you’ve followed my blog for any period of time, you will discover that I have discussed both topics ad nauseam. However, I feel it is useful to get a fresh perspective from someone who is grounded in academia. I find it is sometimes necessary to hear the same message from different sources before accepting its validity. Much like the exercise habit, study after study concludes that food journaling is a keystone habit that leads to weight loss success. I believe that even if this habit is discontinued after 6 to 12 months, most successful participants have developed the habit of keeping a mental food journal as they go through their daily lives, which leads to continued success. If you truly want to get fit and maintain a healthy body weight start exercising just once per week and start carrying a food journal right away. Starting both keystone habits at once will provide a powerful synergistic effect that you will pay almost immediate dividends. Plus, you will be light years ahead of anyone who is “spinning their wheels” on a crash diet or exercise program. 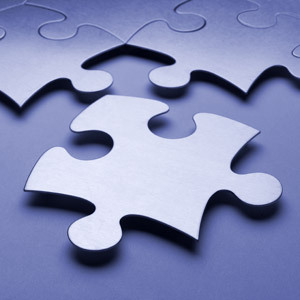 Welcome back to “Unlocking The Weight Loss Puzzle” a short series dedicated to providing tips for sensible adults who are looking to reach and maintain a healthy weight. Part one of this series dealt with the concept of eating for nourishment versus eating for pleasure. Part two focused on avoiding the temptation of junk food by keeping it out of reach. In Part three, we will explore metabolic set point theory. Although metabolic set point theory may sound complicated, the concept is actually quite simple. Basically, set point theory states that each individual has his or her own metabolic set point. This set point causes adults to maintain body weight at a relatively stable level for long periods of time through a variety of complex mechanisms. It operates very much like the thermostat in your residence. If you set the thermostat to 70 degrees and the temperature drops to 68, the thermostat will signal your furnace to fire up until the temperature reaches 70 degrees, at which point the furnace will shut off. Interestingly, regulation of your body temperature is another set point mechanism. Unfortunately, there is no direct way to measure an individual’s metabolic set point and there is controversy regarding what alters set point. Additionally, it has been theorized that it takes at least 12 months of consuming a “normal” diet and participating in moderate exercise to reach one’s ideal set point. There is no denying that genetics play a role in determining body size and weight and therefore some individuals will have a higher set point than others. However, I firmly believe that it is possible to “reset” an individual’s set point over time by maintaining a consistent diet and exercise regimen. Consider that the average adult gains almost a pound per year. According to research by the Harvard School of Public Health, this weight gain is caused primarily by diet and lifestyle choices. In other words, the average person is slowly and steadily adjusting their set point (albeit in the wrong direction). The key is to have a lifestyle that is congruent with your health goals. Diets simply do not work on a long-term basis for the vast majority of people who attempt them. I believe the primary reason for the failure of these diets is they are not sustainable and cause weight loss through caloric restriction. Once the diet is no longer being followed, the individual’s body simply goes to work bringing body weight back to its pre-diet set point. It is the same with people who exercise via boot camps or 90 day programs and burn off a ton off calories and speed up their metabolism for a short period of time. Once the boot camp is over it is back to their prior set point. 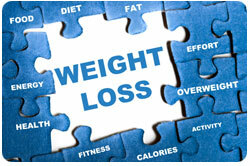 Not only are these methodologies for weight loss ineffective, they are dangerous. According to a study conducted at UCLA, evidence suggests that repeatedly losing and gaining weight is linked to cardiovascular disease, stroke, diabetes and altered immune function. And obviously, living with one’s body weight in a constant state of flux is not ideal from a lifestyle standpoint. Recently, I was in a convenience store ordering a turkey sandwich from one of those computerized kiosks. As I clicked through the menu, I was given the option of purchasing a regular turkey sandwich or an “all-natural” turkey sandwich for $2.00 more. Immediately, I wondered what “unnatural” mystery fare was in the regular sandwich and decided to fork over the additional $2.00 for “real” turkey. I didn’t want to spend lunch time trying to figure out what kind of abominable meat I was eating (and I decided against discussing the matter with the teenage employee behind the deli counter). I wasn’t really sure what the difference between the all-natural turkey and the regular turkey really was. I assumed the all-natural turkey was free of preservatives and chemicals like MSG. Then I thought, “Maybe it’s just a scam perpetrated by the convenience store to separate me from my $2.00.” And so this begged the question, when it comes to our food, what exactly does it mean when “all-natural” is stamped on the label? In the case of meat and poultry (e.g. my turkey sandwich), the “all natural” moniker means that the meat does not contain any artificial ingredients or added color and is only “minimally processed.” However, the term “natural” does not define how animals are raised or fed. This means GMO feed and pesticides, growth hormones, and non-therapeutic antibiotics may still be used. Have you been fooled by the “all-natural” label on your favorite drink, snack, or turkey sandwich? I know I have. 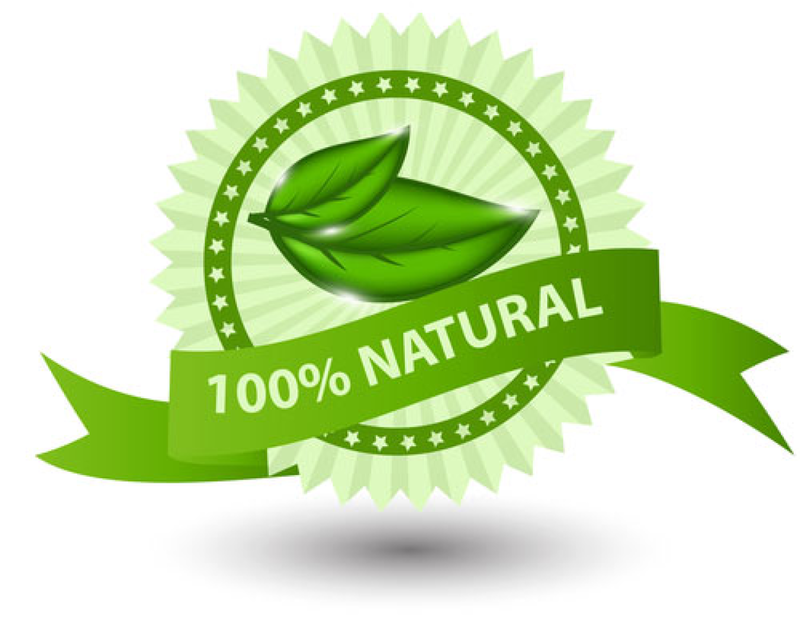 A recent study by the Organic Trade Association found that 86% of consumers expect a “natural” label to mean processed foods that do not contain any artificial ingredients. While this seems like a reasonable expectation, the truth is chemicals like high fructose corn syrup and even genetically modified organisms (GMO) can still be used in “natural” foods. And in case you’re not familiar with the term “GMO,” it is defined as, “plants or animals that have had their genetic makeup altered to exhibit traits that are not naturally theirs…” Yum. Be sure not to miss the point here. The point is not whether GMO, artificial ingredients, growth hormones, lab-produced flavors, etc. are good or bad for you and your family. There are certainly plenty of consumers that feel strongly one way or the other about these types of things. Further, my goal is not to spark a discussion on business ethics and corporate responsibility, but rather to encourage you to become an educated consumer and not blindly assume (as I used to) that products labeled “natural,” “all-natural,” or “100% natural” are 100% healthy and do not include any potentially harmful chemicals or additives. Thousands of unsuspecting motorists are car jacked each year. Carjacking is a violent form of motor vehicle theft. 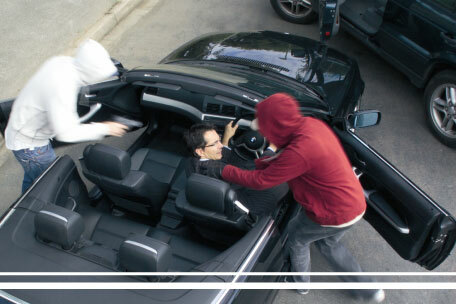 It is a serious threat to one’s personal safety because the perpetrator uses force to steal the vehicle. Sometimes the vehicle occupants are kidnapped during a carjacking. The worst case scenario occurs when victims are transported to a secondary crime scene, which is usually more dangerous than the original confrontation. Many people mistakenly assume that carjacking crimes occur only in blighted areas. Carjackings can and do occur in all types of communities of varying socio-economic status. On July 19th, a couple was carjacked at gunpoint on Watchung Avenue in Chatham. And in May, The Cranford Patch reported on a carjacking that took place on Raritan Road in Cranford where the victim was threatened at knifepoint. The recommended approach to remaining safe while driving is to remain cautious, use common sense, and educate yourself on techniques used by carjackers and what to do in a threatening situation. In any dangerous situation, you are going to fall into one of two categories: you will either have absolutely no idea what to do in order to protect yourself and your loved ones, or you will have some idea of what to do. Obviously, you want to have a good idea of what actions to take. In order to form a plan of action, we must first understand some facts about carjacking crimes. According to a 9 year study by the Bureau of Justice Statistics, a weapon was used in nearly three-quarters (74%) of carjacking victimizations. Guns and knives were the most popular weapons chosen by thieves. Nearly one-third (32%) of victims of completed carjackings were injured. A majority (68%) of carjacking incidents occurred at night (6 p.m. – 6 a.m.). 44% of carjacking incidents occurred in an open area, such as on the street or near public transportation and 24% occurred in parking lots or garages or near commercial places such as stores, gas stations, restaurants/bars, etc. 1.) The Bump: The attacker bumps the victim’s vehicle from behind. The victim gets out to assess the damage and exchange information. This is the tactic that was used to carjack the victims in Chatham. 2.) Good Samaritan: The attacker(s) stage what appears to be an accident. They may simulate an injury. The victim stops to assist, and the vehicle is taken. 3.) The Ruse: The vehicle behind the victim flashes its lights or the driver waves to get the victim’s attention. The attacker tries to indicate that there is a problem with the victim’s car. The victim pulls over and the vehicle is taken. 4.) The Trap: Carjackers use surveillance to follow the victim home. When the victim pulls into his or her driveway, the attacker pulls up behind and blocks the victim’s car. – Drive with your doors locked and windows rolled up. Keep your cell phone within reach. – When stopped in traffic, look for possible escape routes. Leave enough room between your vehicle and the car in front of you to maneuver easily enough to escape. – When stopped at a red light, use your rear-view and side mirrors to monitor your surroundings. This makes it less likely for an attacker to surprise you. – Always keep your cell phone close by and have emergency numbers pre-programmed. – Be wary of panhandlers or people asking for directions and handing out flyers. – If you are bumped in traffic, be suspicious of the accident. Contact the police immediately. – Don’t pull over in any isolated area. Get the other drivers attention and motion to him to follow you, and drive to a gas station or busy parking lot before getting out. – Be cautious of the Good Samaritan who offers to repair your car. It’s okay to get help, just be alert and cautious. If all else fails and you find yourself confronted by an armed carjacker, do not resist! Give up your keys or money (if demanded) without resistance. Never argue, fight, or chase the carjacker. You can be seriously injured. In a vast majority of carjacking scenarios, the vehicle is the primary target. There is a good chance that the victim might not be harmed. However, if you cannot escape in your vehicle, it is imperative that you get out of the vehicle right away. Remember, non-confrontation is often the best response. The object is not to thwart the criminal, but to survive! In the wake of a carjacking, get to a safe place and call the police immediately to report the crime and provide detailed information. *Statistics and tips compiled from various sources including: U.S. Department of State, Bureau of Justice Statistics, Apex Self-Defense, C. McGoey (Crime Doctor ). Would you like more information about Martial Arts classes in New Providence, NJ? Fill out the form below!